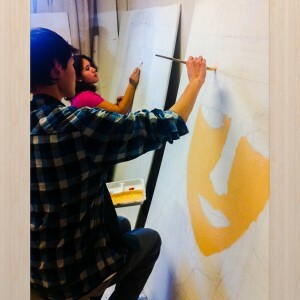 Mentor Artist Kdub Williams transformed the Art Class at Willow Creek Academy into an eighth grade portrait studio. 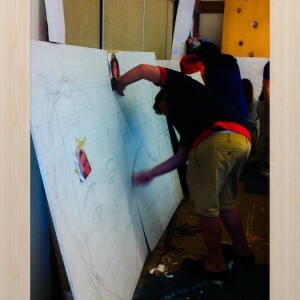 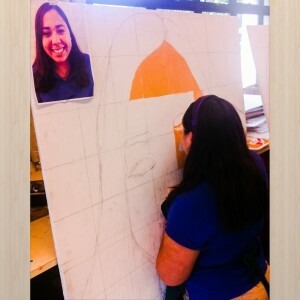 Students learned about the artistry of Chuck Close, mural creation, grid and transfer and painting techniques before they sized up their self portrait photographs into larger then life images on sheets of plywood. 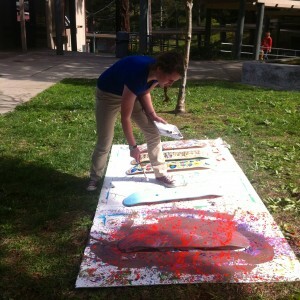 Meanwhile, outside the classroom, students worked to paint the skatedecks which will be the featured items at the upcoming Willow Creek fundraising auction.